NOTE: Skip is a good option if you only need to work with this media for a short time, you’ll finish the project before you upgrade the OS and you don’t intend to use this media in the future. 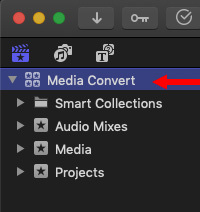 When you click convert, all media displayed in that dialog is converted into Apple ProRes 422, as tracked in the Background Task window. When conversion is complete, the source file remains unchanged in its original location. Select the Library containing the converted media in the Library List. 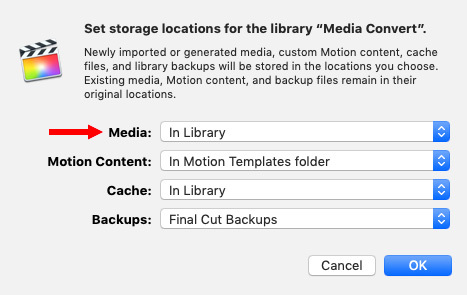 However, in most instances, it may be wiser to create a separate media folder OUTSIDE the Library to store all converted media. 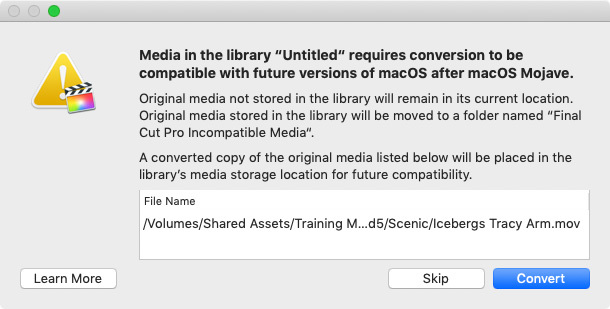 NOTE: When you import media, the Media Import window gives you the choice to “Copy Media to Library” or “Leave files in Place.” If you choose to copy media into the Library, this media, too, will be stored in the separate media folder you are about to create. Using the Media popup menu, click the Choose option. Then navigate to a folder where you want to store converted media. 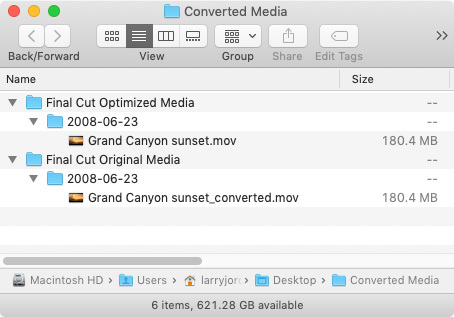 In my case, I created a new folder, called “Converted Media,” on my second drive. You can see it selected it here. NOTE: You can name this folder anything the macOS will accept. There is no magic to the folder name. Optimized Media contains the optimized file(s), which, in this case, is the same format as the converted file. These optimized file(s) because I chose to optimize media during import. In addition to these two files, the master file remains in its original form and location. This means you need to allocated extra storage space for converted media files. NOTE: If you look closely, you’ll see that Final Cut named the folders that contain the media with the data the media was shot. 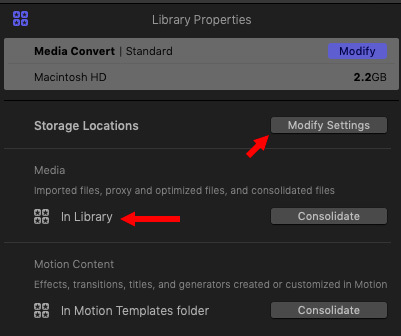 This helps prevent confusion over which files are stored where and allows the same Converted Media folder to be used between multiple libraries. The good news is that this technique works, it is simple to do, and it protects you from an inability to access your media in the future. 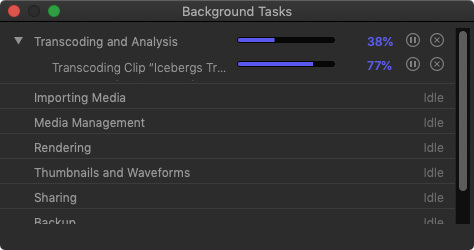 But, this also assumes you are editing using Final Cut Pro X and that you simply need to convert files to safely finish this project. 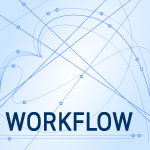 A better, more flexible way to convert media is to use Compressor for conversion. I explain how that works here.